I talk a lot about the importance of customer experience data in my blog because I am a firm believer that it is a major component of success for a contact center business. However, for data to be useful and compelling, we must have a means to measure it. Tracking the customer experience is critical to ensuring that you have a focused strategy that ensures long-term customer engagement as well as customer satisfaction and loyalty. In this article, I will be discussing some concrete steps you can take to perform customer experience measurement effectively for your business. 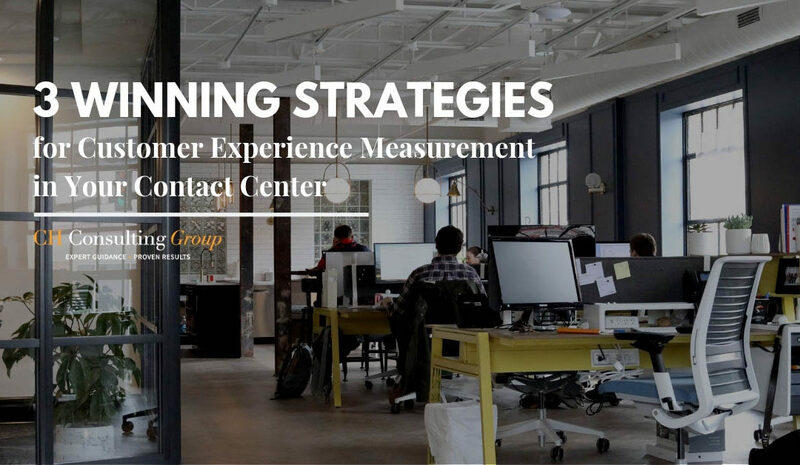 If you are an established contact center business, you may already have a baseline of your customer needs and expectations. However, if you’re in need of a refresh or are just starting out, researching your target customer is your very first step. There are many resources that you can make use of for research such as your experience and knowledge in the field, the knowledge of third-party experts, competitor research, staying on top of industry news, as well as having an ear to the ground in consumer forums and on social media. You’re aiming to identify the customers who would potentially want your product, their unique pain points that you can solve with your product or service, and how you could deliver the product or service in a way that would make it irresistible to them. This step is important to enable you to target the right customer profiles for your business with the right message. The next strategy is to identify all the touchpoints of the customer journey. A touchpoint is any point of interaction that a customer has with your brand, product, service, or offering at any stage of the journey. It is easy to think that touchpoints are simply the points where the customer directly engages with your company in the sense of sales, customer care, or aftersales service. However, touchpoints can also encompass the ads you post, the events you host, your help/user guides, as well as the overall experience of your brand in terms of appearance, accessibility, and ease of navigation. Put systems in place to measure the customer experience at every significant touchpoint in each area to have a holistic view of where you are doing great and where you need to improve the customer experience. First Call Resolution (FCR) – As the name suggests, FCR measures how many customers get their needs addressed within the first call. FCR eliminates the need for customers to keep making repeated connections for problem resolution, which can considerably lower the experience rating. Customer Satisfaction Score (CSS) – Typically used to gauge customer satisfaction after an engagement with customer service, the CSS, like the NPS, is fast and simple. It generally asks for a rating, followed by more specific feedback. Success – How successful the customer was at achieving what they wanted. Effort – How easy it was for the customer to achieve what they wanted. Emotion – How happy the customer was with the interaction with your business. How does your organization measure up with these three components? What metrics are you using to quantify success, effort and emotion? For more information, stay tuned for next week’s blog about How to Use the Customer Experience Maturity Model to upgrade your CX here. CH Consulting Group is a team of nationwide Customer Experience (CX) Consultants for today’s omni-channel contact center. Our team provides national and global clientele with unparalleled expertise in supporting businesses to achieve growth, manage change, and generate profit. For a comprehensive CX assessment and strategic plan customized for your unique business needs, connect with us here today.